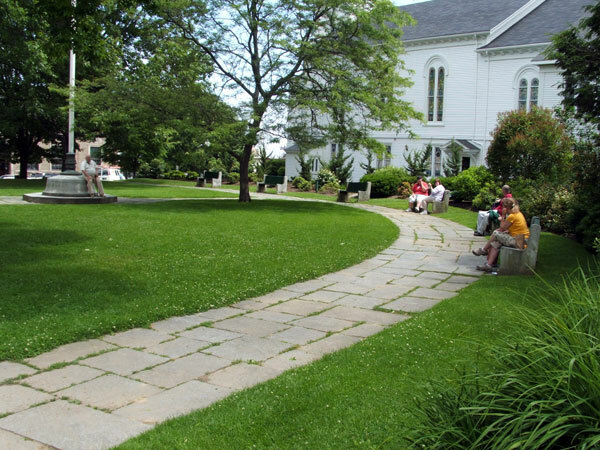 After a fire destroyed a summer hotel with sweeping views of Camden Harbor, a group of patrons led by Mary Louise Curtis Bok purchased the one-half acre site and hired Olmsted Brothers to design a village green. Frederick Law Olmsted, Jr. completed the design and Leon H. Zach was the site inspector. 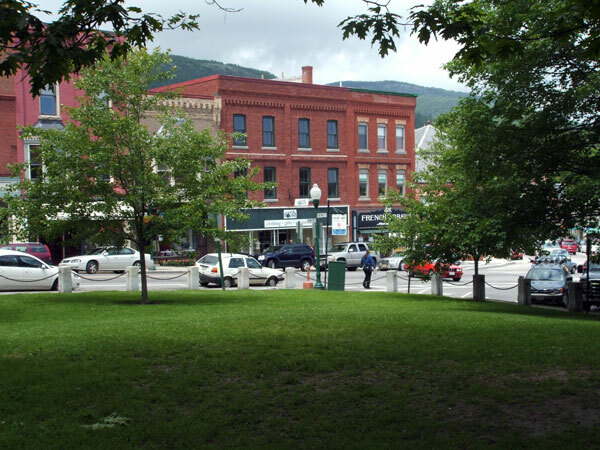 Olmsted, Jr. considered Bok’s request for a simple, unadorned place, while also addressing the awkward topography and lack of trees. 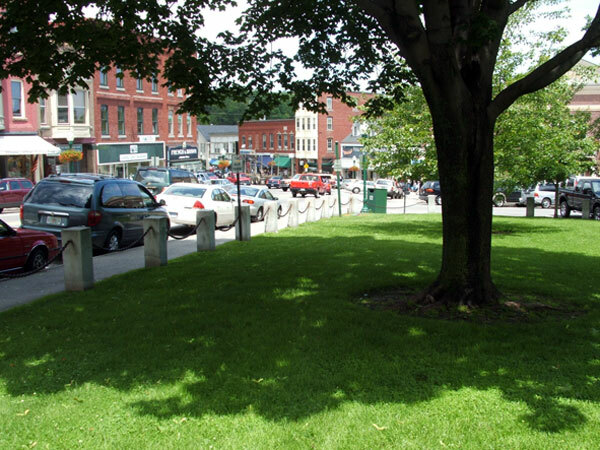 He suggested re-grading the site to create a longer sweep of lawn visible from downtown, along with planting trees and shrubs of varying heights to screen neighboring buildings. He specified a simple border fence of wooden rails set into rough-cut granite posts. 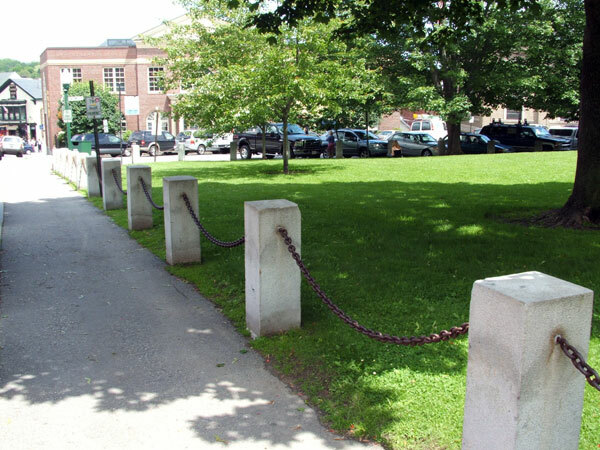 The town followed much of Olmsted Jr.’s plan, but altered the plantings and installed a more formal fence of smooth-cut granite posts and heavy iron chains. Years later, citizens asked for a memorial to World War II soldiers. Despite her own reservations but in deference to the community, Bok hired Olmsted Brothers to design a memorial flagpole which remains on the site today. 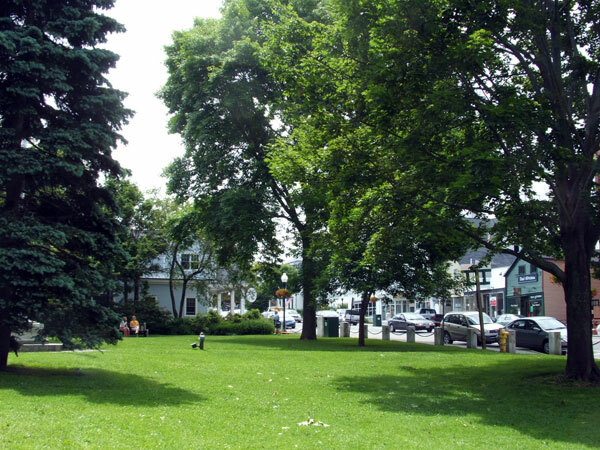 The village green is listed on the National Register of Historic Places as a contributing resource to the Chestnut Street Historic District.